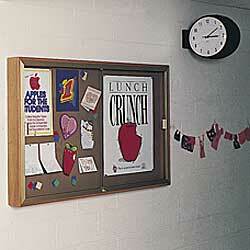 Glass Display Case - This wooden display case is made of solid oak and has a brushed gold anodized aluminum frame. 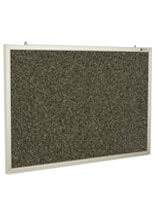 Also, this lobby display is available with a cork board. 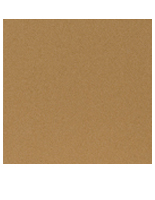 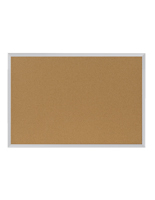 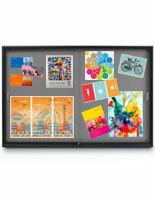 Great as a bulletin board, a tack board, a wall display, or an exhibit case. 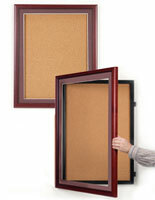 Ideal for high traffic areas, this display case features tempered safety glass sliding doors with a built-in lock. 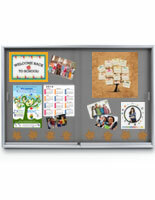 This wall case is also pefect as a plaque display, award display, or an announcement board. 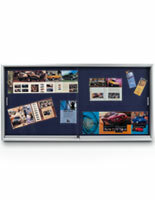 Overall display dimension: 72"w x 48"h x 4"d.
Great for hallways, lobbies & break rooms. 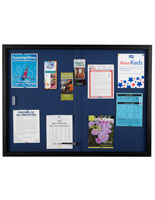 In addition to our poster display series we offer many other display products at our main shopping page Displays2go, where you'll find many point of purchase acrylic stock and custom displays.